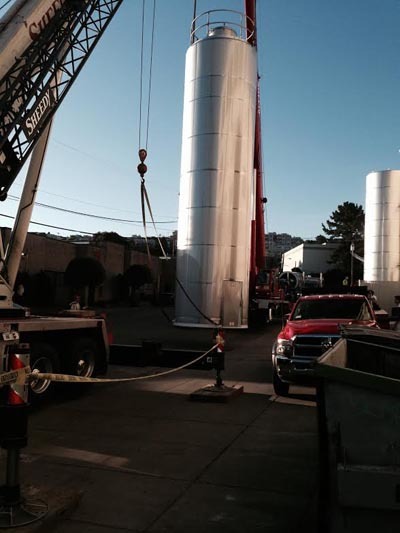 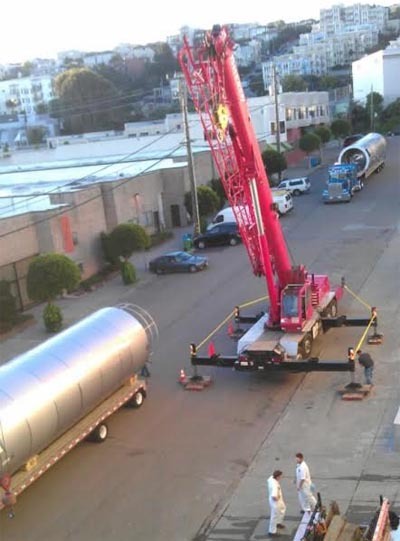 If you were in our neighborhood on Potrero Hill in San Francisco Wednesday morning, you might have noticed some activity and lots of heavy equipment outside as two new fermenters were delivered for installation. 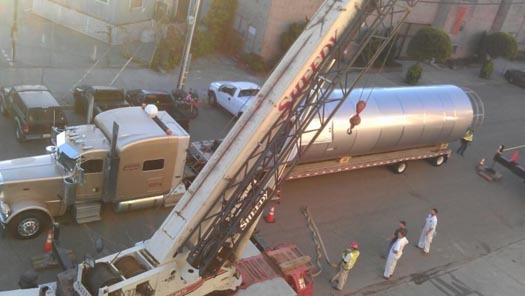 The fermenters were guided into place with the help of two industrial cranes. 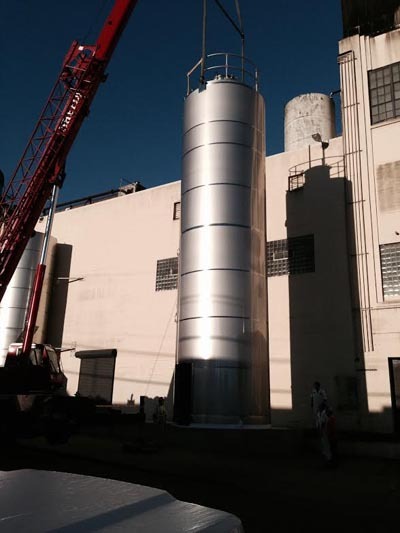 With the new fermenters in place, our fermenting capacity will increase by approximately 50%.